If you're planning a wedding or special occasion in Llandaff or the surrounding area, get in touch today to find out more about our amazing deals on luxury limousines. With a wide range of vehicles in a variety of sizes and styles, we're sure to find the perfect vehicle for you. Whether you're organising a wedding in Llandaff's majestic cathedral or something a little more intimate in a local church or hotel, choosing the right wedding car is an important part of your big day. Get in touch today to find out more about our wide range of luxury limousines, all available to hire complete with the services of a professional, uniformed chauffeur. We've got Rolls Royce limos, Lincoln town cars, Baby Bentleys and more, not to mention a selection of more modern designs for those who want something a little different. Why not treat a groom to a ride in one of our stretch Ferrari limos complete with state-of-the-art sound system, or book a pink limo to take a group of bridesmaids to the church? 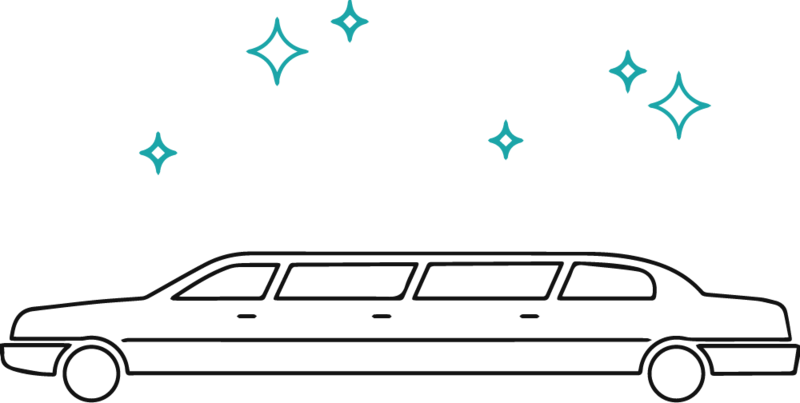 Our limo hire service is also great for those planning a big night on the town. Whether you're dining out in Llandaff or starting your night here before hitting the clubs and bars of central Cardiff, hiring a limo is a great way to enjoy the VIP treatment all night long. From party buses, novelty limos and stretch sports cars to amazing Hummer limos complete with karaoke machines and light up LED dance floors, we've got something to suit every taste. All of our limousines are fully equipped to the highest standard and are available to hire for just a few hours, a whole day or as long as you need. So whether you want a special vehicle for your big day or something fun and exciting for a big night on the town, our limo hire in Llandaff has the perfect solution.